Mogu’shan Vaults 25m fully cleared! Guild News Comments Off on Mogu’shan Vaults 25m fully cleared! Welcome back to raiding Prelude! 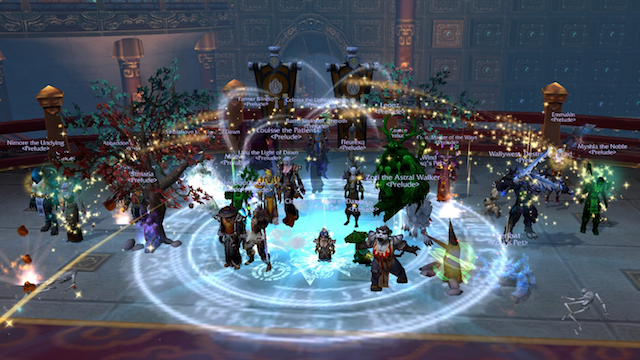 Awesome job in Mogu’shan Vaults, we killed the last boss, the Will of the Emperor. 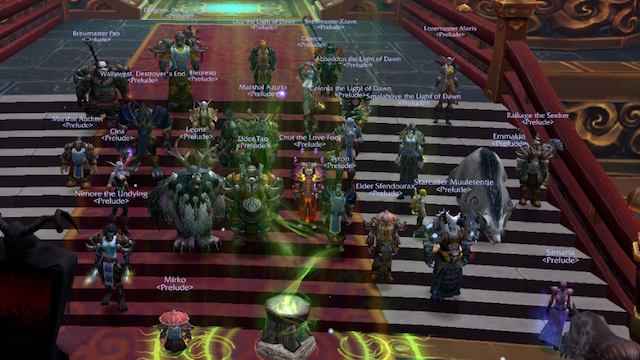 Mogu’shan Vaults: Elegon 25men down! 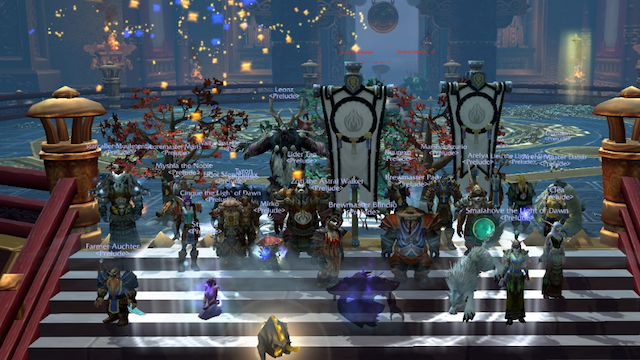 Guild News Comments Off on Mogu’shan Vaults: Elegon 25men down! After some time in the Mantid kingdom we are back to Mogu’shan Vaults.. and we strike! 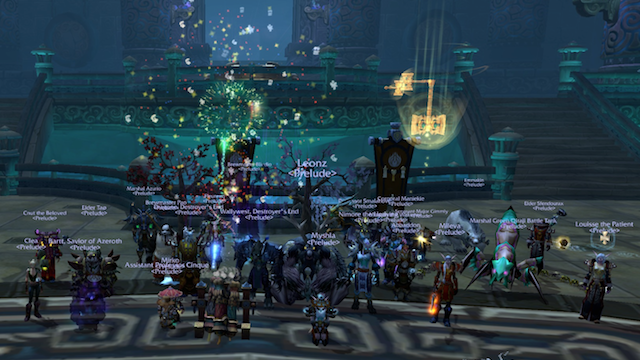 Congratulations to all the raiders for the clean kill of Elegon. We did so well that we also got the Straight Six achievement at the same time! Good job everyone! 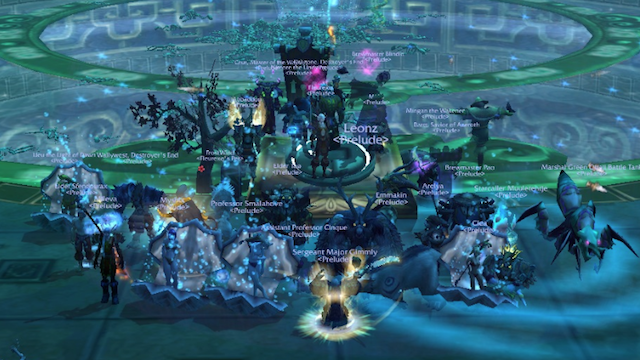 Mogu’shan Vaults: the Spirit Kings 25men down! 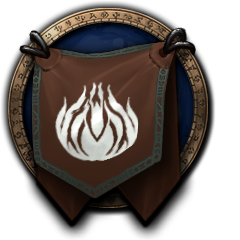 Guild News Comments Off on Mogu’shan Vaults: the Spirit Kings 25men down! Even with unlucky combo in the order of the Kings spawn, we killed the Spirit Kings in Mogu’shan Vaults. Congratulations to all the raiders! Mogu’shan Vaults: Gara’jal 25men down! Guild News Comments Off on Mogu’shan Vaults: Gara’jal 25men down! That was fast! 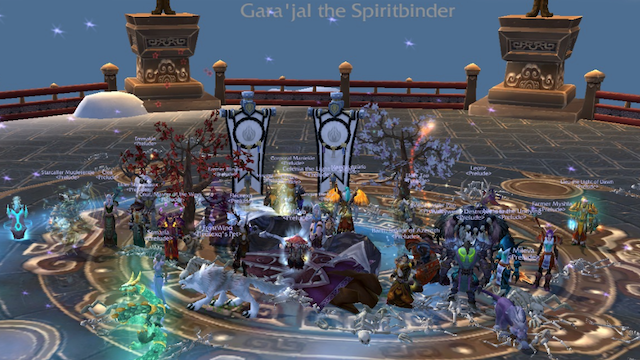 Just very few attempts and Gara’jal the Spiritbinder went down. Good job raiders! Mogu’shan Vaults: Feng the Accursed 25men down! Guild News Comments Off on Mogu’shan Vaults: Feng the Accursed 25men down! Congratulations to all the raiders, you all worked for improvements and the results are here. Keep up the good job! Prelude started official raiding in Pandaria: we killed the first boss in Mogu’shan Vaults, The Stone Guard. Thank you to all raiders for the levelling and gearing effort, new challenges await us!